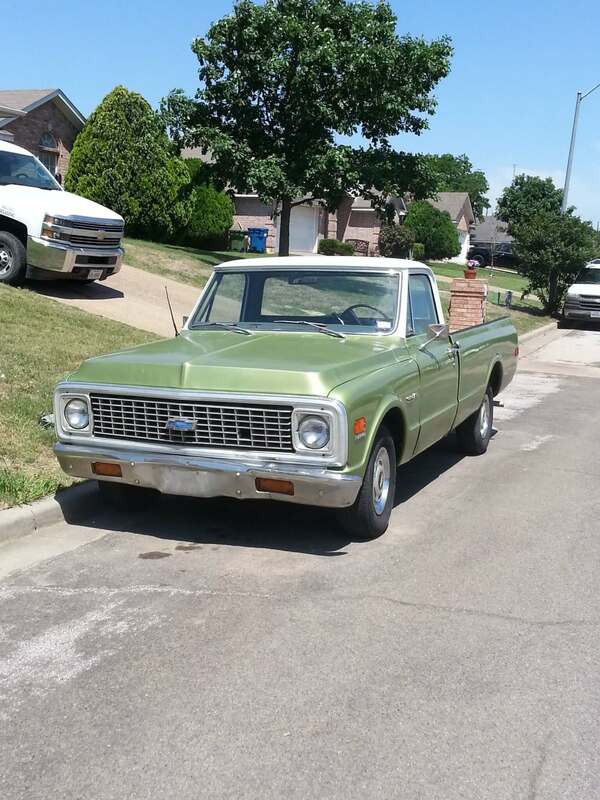 1971 Chevy C10 – Mike S.
This truck has never been registered to anyone not in my family. 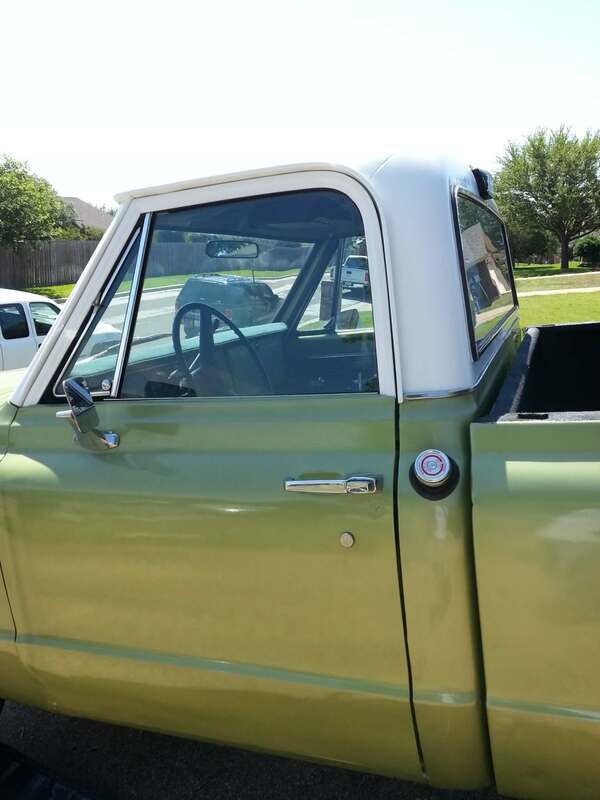 My Uncle Jack purchased it from a Houston dealership and it rolled off the lot with a storage over cab camper and a heavy steel step rear bumper with dealer name etched in it. I’m sure the dealership kept the tailgate. 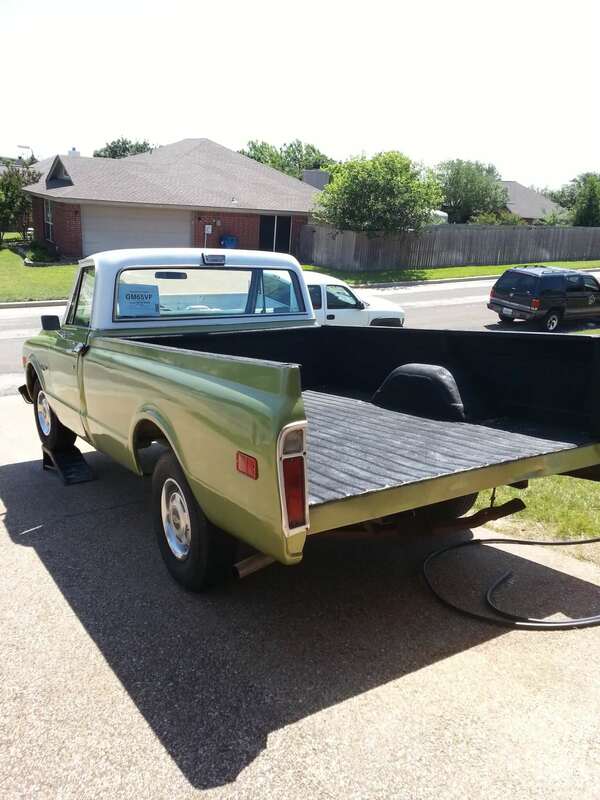 My uncle decided to sell it to me in 1975 for a whopping $1600. It was always a backup vehicle and sat more than it was driven. Could be sitting for months and would always work when needed. I had both my sons drive it for a stretch and finally decided to save what was under the neglected finish. 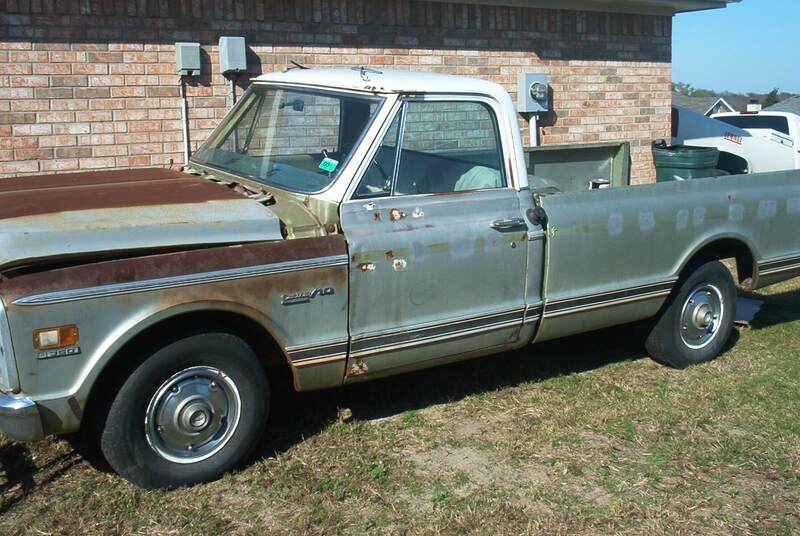 A good mechanic friend of mine, Robbie, had a place to being restoring it. We sanded and wire brushed what seemed like forever. He chose an epoxy mix primer that he used for his restoration and I decided to go back with the original scheme of cream over medium olive, as close as National Coating could match. He also preserved the bed with a spray in bed liner kit. I was very happy to have it back on the road and, in my opinion, looking great. Robbie looks at his job and finds every flaw. All his pre-60’s restorations did not use metal flake type paint, so he was not used to the same painting technique. I think my uncle would be proud. I have always and will always use LMC for all my repairs and upgrades. They have me on purchase records for quite a few years at 3 addresses in Texas and 1 in Oklahoma.